The beautiful compact town of Rocamadour is your base for this tour to France. Located on the outer edge of the Dordogne, this stunning place is an important pilgrimage destination, built on the site of a shrine to a Madonna. Located in the heart of Rocamadours medieval town, this charming hotel offers among its facilities a bar and restaurant. All rooms are en suite and have TV and telephone. There is a lift at this hotel that serves most rooms. GUIDED WALKING TOUR OF ROCAMADOUR - This morning you embark on a fully guided walking tour of Rocamadour. This afternoon, you have free time to explore your host town further at leisure. PECHE MERLE CAVES & SAINT CIRQ LAPOPIE - You begin your day with a visit to the Caves of Peche Merle with a guided tour. These vast caves are over 2km in length and feature pre-historic artwork spread over several large individual caverns. Make sure you wrap up warm, as the temperature of the caves is just 12 degrees! From here, you continue on for a guided tour of Saint Cirq Lapopie. This stunning medieval town has 13 listed buildings and is perched on a cliff 300ft above the River Lot. 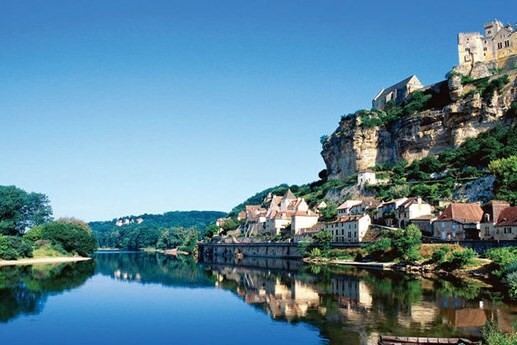 VALLEY OF THE DORDOGNE & LA ROQUE GAGEAC BARGE TRIP - A full day guided coach tour of the Valley of the Dordogne is on the agenda today. Your tour will incorporate the town of Sarlat and will pass by many of the beautiful chateaux around the area. Your day is rounded off with a 1 hour 18th century barge ride along the River Dordogne. 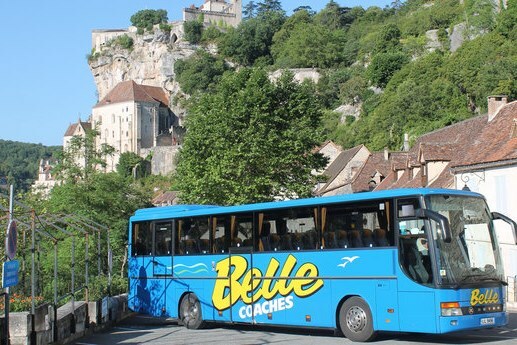 AUTOIRE, LOUBRESSAC & CARENNAC - This morning you embark on a guided coach tour of some of the area's most beautiful villages including Autoire, Loubressac and Carennac. This afternoon you have some free time to relax prior to your departure tomorrow. 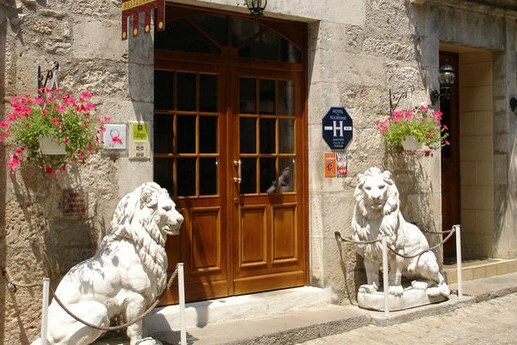 *The Hotel Lion DOr is split into 3 sections, we have requested the bedrooms that are located with the restaurant, opposite the main building, across the narrow street. **Dinner at the overnight hotel will be buffet-style. 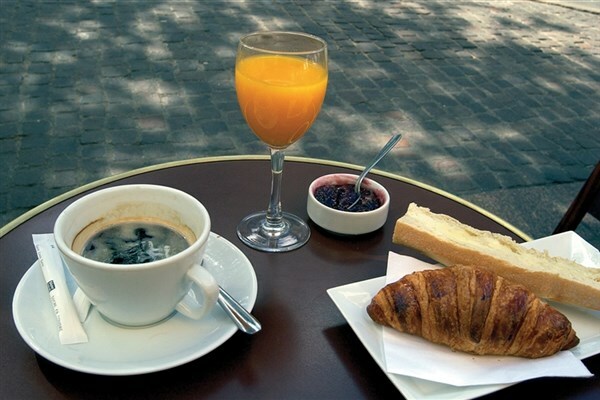 Breakfast at the main hotel will be continental-style. You will be required to pre-order en route the first nights meal at the main hotel. Polite Note: This tour may not be suitable for those with limited mobility.